This fully renovated and upgraded condo located in Horizon South is a must see!! 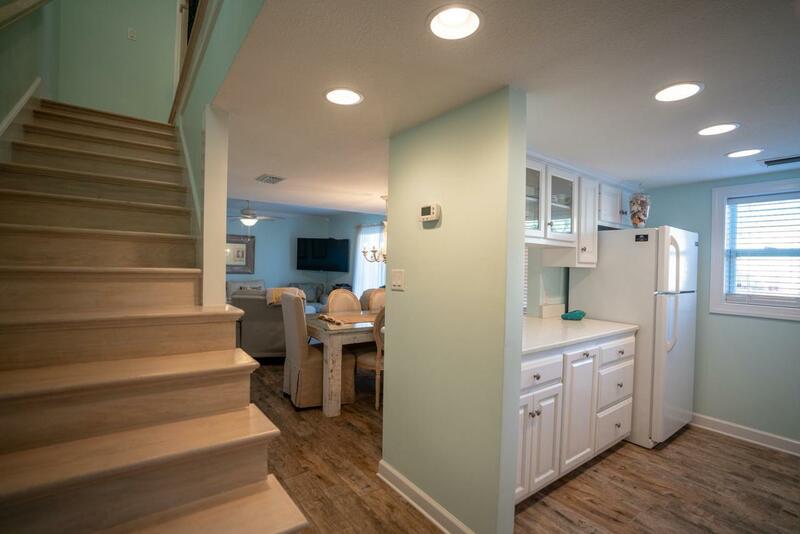 Horizon South is a gated community on the West end of Panama City Beach with numerous amenities and deeded access to the beach.Enter the foyer on to a beautiful custom design mosaic tile floor. The charming kitchen, den/dining and all bedrooms have wood look ceramic tile floors and crown molding. The kitchen has a built-in microwave, glass top stove, refrigerator and dishwasher with custom tile backsplash, quartz countertops, recessed lighting and upgraded cabinets with breakfast bar. Exit the den through upgraded sliding glass doors on to a private tiled patio with privacy fence. Located also on the ground floor is a laundry room, half-bath and inside under the stairs storage closet. Listing courtesy of Luxury Properties Real Estate.